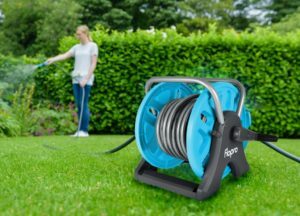 The all new Flopro Classic Hose Reel will hit the market at Glee with 30,000 units being given away absolutely free of charge at garden centres across the country. Flopro have arranged the deal with a national newspaper whose readers simply collect the vouchers and visit their nearest participating centre where they will receive their brand new hose reel at no charge. The promotion, which is thought to be the largest ever giveaway in the garden industry according to the brand, will be launched at Glee 2018 in readiness for the press launch on Easter Saturday 2019. Participating garden centres will receive around 100 Classic hose reels free of charge. 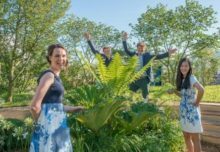 The deal, which represents £2m investment by Flopro, is designed to move the brand to a ‘must stock’ range for all garden centres. Flopro will receive substantial editorial in the national newspaper right across the UK and Ireland creating the biggest trade and consumer promotion in the industry. 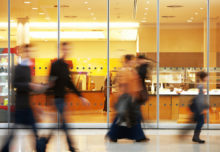 While at the garden centre, visitors may view and purchase accessories such as Flopro spray guns, sprinklers, connectors, timers and lots more, creating incremental sales and profit for the retailer. Visitors to the Flopro stand at Glee (Crest Garden 7G50-K51) will receive full details and can register as a participant or garden centres can do so by contacting their Crest Garden representative.